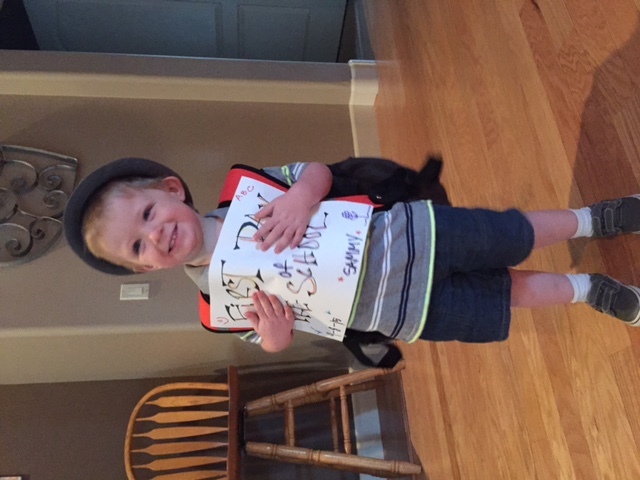 Today was Sammy’s first day of preschool. It felt like a big deal. This morning when we got up I felt excited and nervous. The nerves were mostly for him but I forgot how great he does in pretty much any situation we’ve put him in. After we dropped him at 8am we went and grabbed breakfast at a new spot in Templeton called Kitchenette. Then we headed home to work until it was time to pick him up. As Annie pointed out, it was quite strange to be home without him here. I think that has only happened one or two other times since he’s been born. I started becoming anxious to go pick him up. I wanted to see what he had to say and how he felt. When we got over there and got him he seemed unimpressed that we were picking him up. 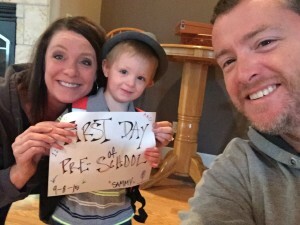 We asked about his day, what he did, what he liked playing with, and if he met any kids…the answers were anticlimactic. He acted like he’d been going to school for years. It was no big deal to him. The best news was that he does want to go back. Yet again we are shown that all of these things you go through as parents are typically a bigger deal to the parents than they are to the kids. All that aside, the interesting part is seeing your child going to do these things for the first time. Especially without you. Signs of growing up. Signs of growing away. Not away in a bad way…just him developing a singular life versus having everything wrapped up in us. He doesn’t need us for all of the things he once did…and that’s okay. From the time they are born they are growing and learning to become individuals. This happens for survival. The circle of life. Today was one of those reminder days for us, I think. It reminded us that our boy, who will turn 3 next month, is discovering and adventuring through the circle of life. I have often said that having a kid is the best and worst thing you can do. I know many will disagree with that statement and that’s okay. When you love someone as much as you love your child, that love also comes with equal amounts of pain. I suppose that is the cost of a love that deep…you are handed equal amounts of pain. To have one you must deal with the other. Cheers to the adventure! 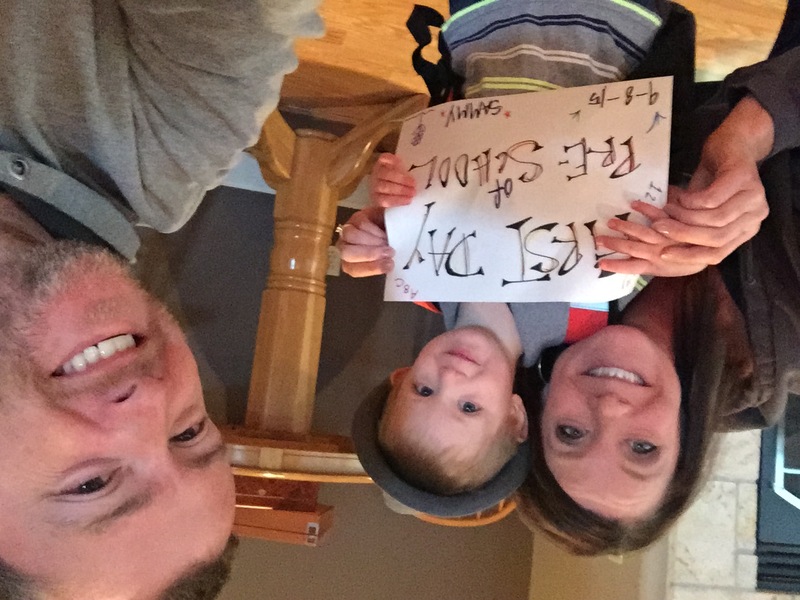 Thanks for sharing the pictures and all of your & Annie’s feeling on his first day. As the days go by he will share more of his adventure with comments and expressions from out of the blue. I so enjoyed the time when I volunteered in Rhia’s kindergarten class. I was able to see her interaction with the teacher and her classroom friends which was really fun. I still enjoy going and volunteering in her classroom. So I am sure you would wish to be a fly on the wall in his classroom, so you could see and understand his experiences. So the adventure for you three continues with his schooling and education. Enjoy the ride!!!! That’s awesome, Mary Ann. You have done a lot for Rhiannon! 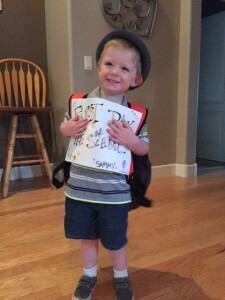 Sammy’s second day of preschool is Friday so we shall see how that one goes. Trish, I appreciate your words. Mathew is a pretty awesome guy. Been fortunate to chat with him a few times. Been nice to see him come out of the woodwork and into his own. Miss you guys…hope to see you soon! I used to be recommended this web site by means of my cousin. I’m now not certain whether this submit is written by way of him as nobody else know such precise about my problem. Yor#28&17;ue incredible! Thank you!